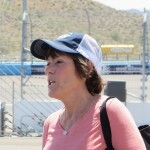 Saturday at Phoenix International Raceway for Race Day in the Desert. The sun is shining with a few picturesque clouds, the weather is hot with a nice breeze and all’s well at the track. It’s a beautiful day to be out and about, taking it all in, cruisin’ in the desert. People are everywhere in the garages of the Verizon IndyCar Series, as well as checking out the IndyCar legends and USAC Silver Crown Cars. Tour guides are leading groups of people everywhere, showing the sights, explaining the intricacies of motorsports, and people watching. Here and there a driver, owner or celebrity might be sighted. 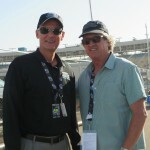 Dr. Terry Trammell is the IndyCar Drivers Medical Advocate and longtime member of the Indycar medical staff. 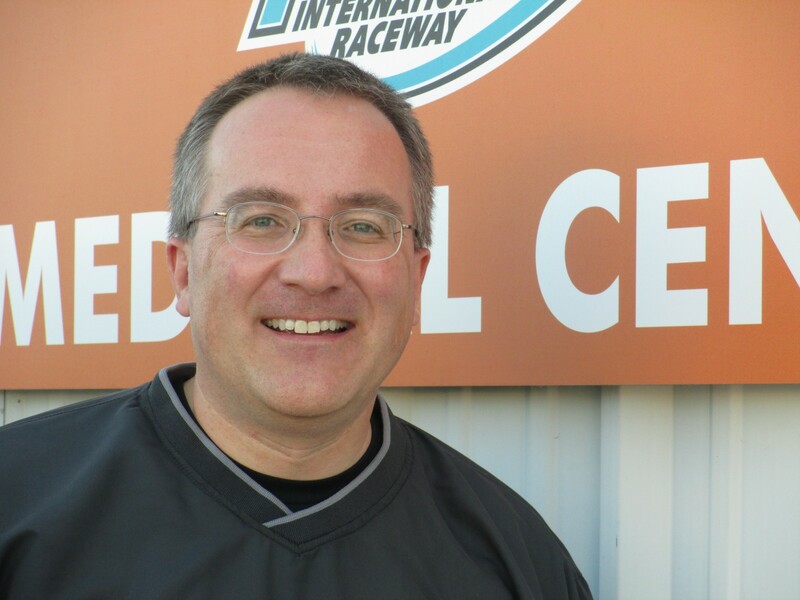 He’s been providing trackside medical care since 1973 including orthopedic consultant to Indianapolis Motor Speedway and director of medical services for CART. 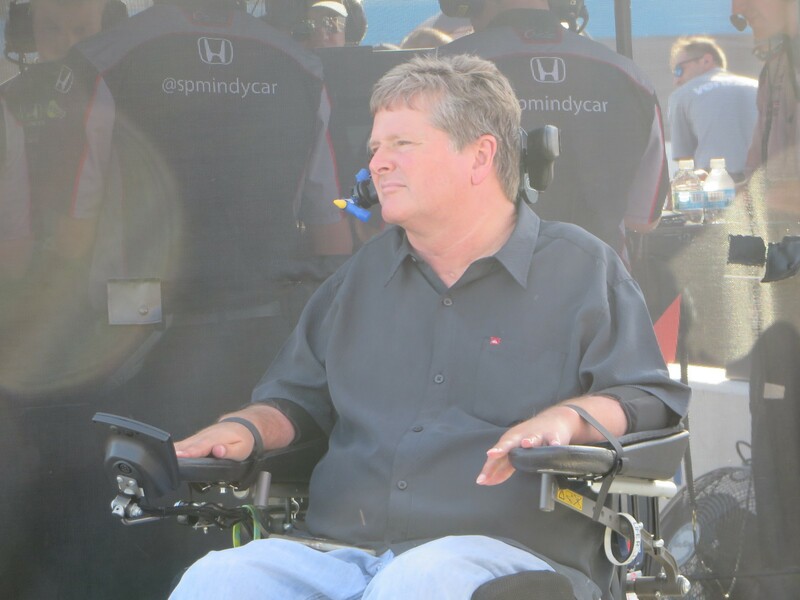 He and Dr. Steve Olvey co-founded the CART Safety Team, and they are credited, among other things, with saving the life of Alex Zanardi when he suffered his horrific race crash. 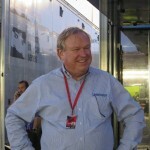 Trammell is a founding member of the International Council of Motorsports Science, and is a founding fellow of the FIA Institute for Motorsport Safety. He lectures on spinal injuries and conditions, and has written numerous articles in professional journals. 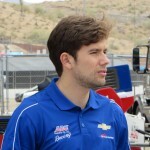 The team started in January this year, collecting data from all the full-season IndyCar drivers, as part of their physicals. And the equipment, such as it is, now goes to all the IndyCar races so tests can be conducted on new or untested drivers by Trammell or Billows. Soon Olinger will be also conducting tests. The collected information is compared, current symptoms to SCAT3. The test takes about 15 minutes and can be done on the sidelines. This test uses the goggles, and is not Operator-based, i.e. it is objective data on a computer, rather than subjective operator-based information. It is an extremely sensitive test in looking for prior problems. The results are sent to Dr. Hoffer in Miami for interpretation. It’s a system in evolution. The software and hardware are evolving, and the medical team is helping. Their hope is to integrate it into concussion protocol. The breaking news of the moment is that the USAC Silver Crown points leader, Chris Windom who withdrew his No.92 Beast Ford car after it failed during Friday morning practice, found another ride. As predicted by outside pole sitter, Kody Swanson/No.62 Beast/Hampshire. 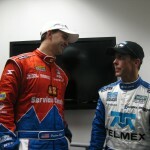 Santos’ words were “Just because Chris doesn’t have a car, don’t count him out. He’s done this before.” Windom will start from the back in No.2 Patrick Lawson/Mittler Brothers Machine & Tool-Rebel Smokers/Beast/Wesmar. 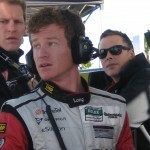 Lawson had qualified the car in thirteenth position Friday, and Windom will start from the back. The Copper Cup Race is a 100-mile race, starting at 3pm local time/6pm EDT. Stay tuned! For a fortunate few, Saturday morning was the chance for a hot lap in a 2017 Chevy SS with Jeff Sinden, who runs the IndyCar two-seater drive around program. New this year is the requirement that all passengers be outfitted with a helmet and a HANS device. Who knew! It was quite the experience. Thanks, Chevrolet! The helmet was tight, so snug that I couldn’t fit my fragile curved metal glasses bow into the helmet. I needed my special, prescription motorcycle glasses. 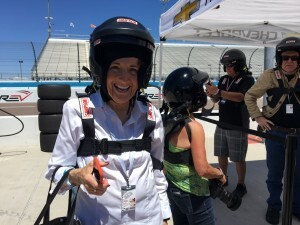 The HANS device was lighter and more comfortable than was the helmet. It attached at the back, and was not a problem sitting in the cushy car seat. 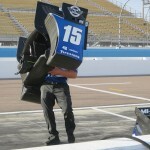 I felt no discomfort or constraints from the HANS device. Something new this weekend, added for the fan’s enjoyment, is Verizon IndyCar Pit Stop Practice for at 5pm local time, an hour or so before the IndyCar race. The Green Flag is at 6:30pm local time/9:30pm EDT. The Desert Diamond West Valley Phoenix Grand Prix race will be televised live on NBCSN, starting at 6pm/9pm. 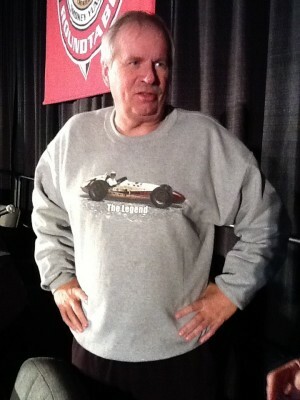 It also can be followed live on Advance Auto PartsINDYCAR Radio Network, Sirius 212, XM209, Indycar.com, indycarradio.com and on the INDYCAR Mobile app. PAUL PFANNER, President/CEO/Executive Publisher of RACER magazine, has returned to what he says is his first love – SCCA’s monthly publication, SPORTSCAR magazine, one of the oldest racing magazines in the world. 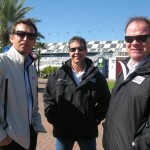 Pfanner is again the magazine editor for the largest racing club in the United States – Sports Car Club of America. 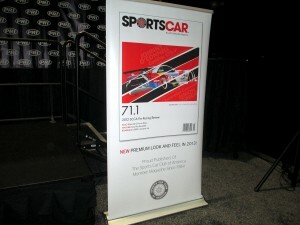 Thursday at the annual Performance Racing Industry trade show, Pfanner unveiled the new look of the magazine. Although the publication is also available digitally, he said the majority of the readers prefer a print version. Pfanner said some of the original staff will be part of the new, smaller but very effective staff, including RICHARD JAMES and MARK WEBER. 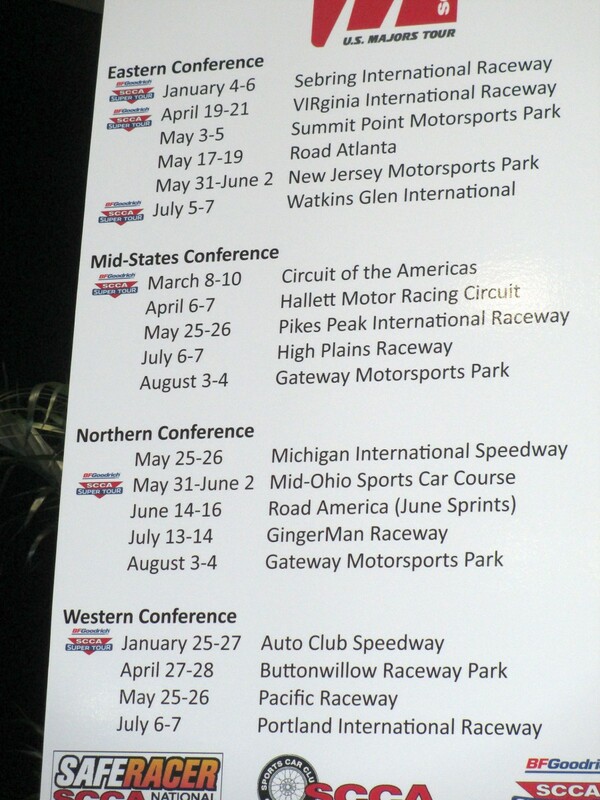 Also part of the SCCA presentation Thursday was the announcing of the 2013 Majors Tour. This is a new program, revamping the current SCCA National Race Series, which culminate in the Runoffs – sometimes called the Olympics of American racing. The United States has been divided into four geographical conferences, each with its own schedule of four-six double-header Major Tour race weekends. The lone exception will be Chicago Region’s June Sprints, which has a long storied history. which will remain a single event, which has drawn upwards of 500 cars. A series within a series will be the BFGoodrich Tires Super Tour: six premiere races at Auto Club Speedway, Circuit of The Americas, Mid-Ohio Sports Car Course, Sebring International Raceway, VIRginia International Raceway and Watkins Glen International. 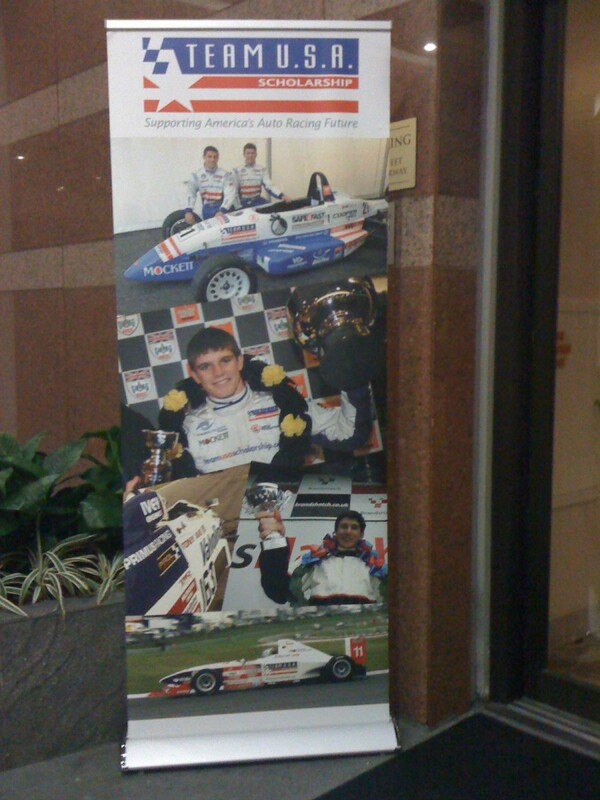 The 2013 SCCA Runoffs will be its fiftieth, cause for celebration. 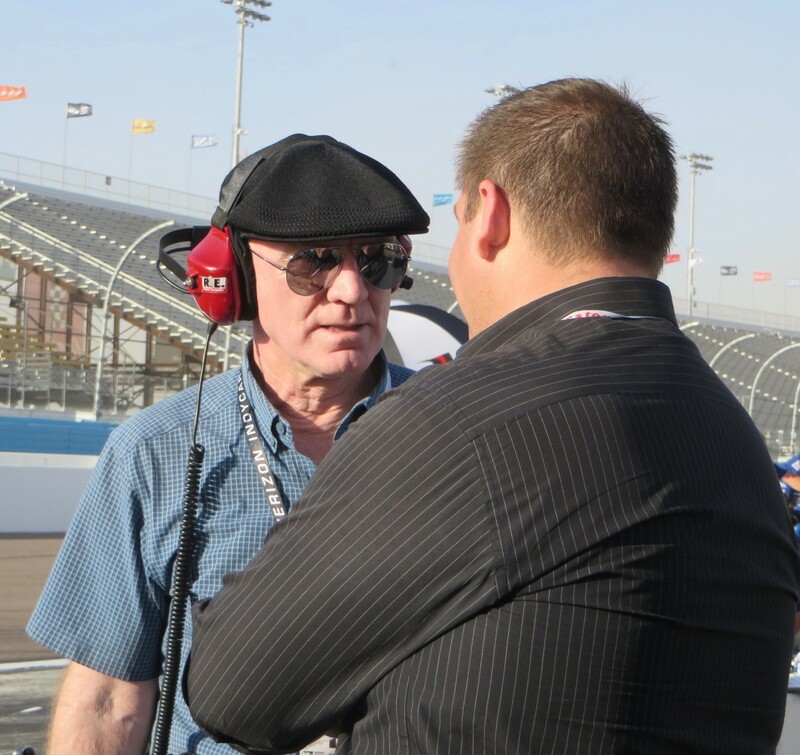 One driver who is particularly looking forward to the Fiftieth Anniversary Runoffs is JIM DOWNING, long-time club racer and more recently known as the HANS device originator/inventor/purveyor. At the first-ever SCCA National Runoffs at Riverside Raceway in Southern California, Downing was on pole in his Formula Vee, in the first of the many racing classes that weekend. Now he wants to bookend his SCCA career with a run in what could be his last club racing season before retiring from competition. Intertwined with Downing’s club racing was professional racing with IMSA (International Motor Sports Association), winning five championships. Recently Downing performed a sudden, unexpected, and unintended road test of his HANS device. 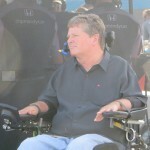 During SCCA practice at Mid-Ohio in June, Downing had a mechanical failure causing a spin and crash, ending in an 200-foot long upside down slide- his first upside down in thirty years of racing. He suffered two compressed back fractures, resulting in wearing a back brace for a week. But, otherwise he was fine, for which he credits his HANS device. Downing and crew cobbled the car together for this year’s Runoffs, and over the winter it will be rebuilt for next year. 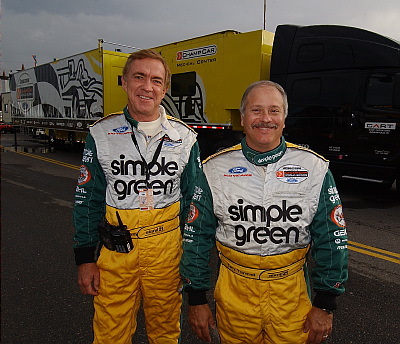 Downing and his brother-in-law, DR. BOB HUBBARD, conceived and built the first HANS device in 1988. It was a long, slow process for the idea of head and neck restraints to be used. Despite Formula One and other major American-based racing series requiring them years ago, it wasn’t until the fatal crash of DALE EARNHARDT that there was a huge spotlight on the head and neck safety issue, and eventually NASCAR required such restraints. Downing has always worn a HANS device. 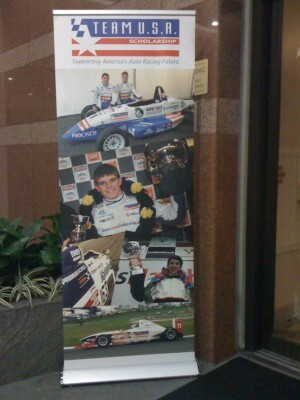 SCCA Club Racing only mandated the use of head and neck restraints effective January 1, 2012. Last year Downing bought out Hubbard, and then this year Downing gave in to long-time offers from Simpson Performance Products, and sold HANS. 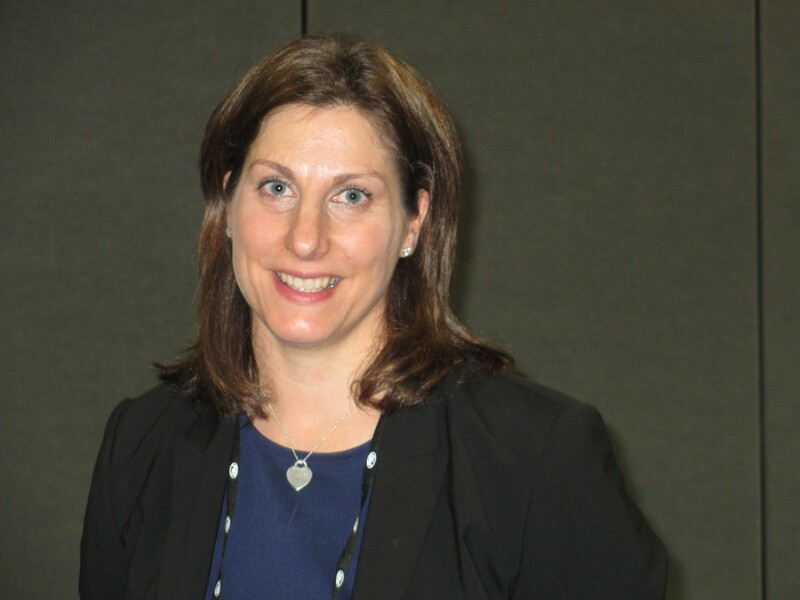 With all the focus these days on concussions and TBI – Traumatic Brain Syndrome, helmet safety was a timely topic of discussion at the 2012 Annual Congress held by the International Council of Motorsports Sciences. This year, as in the past five years, ICMS has held its Congress in conjunction with the annual Performance Racing Industry trade show – three years in Indianapolis, and now in Orlando Florida. ICMS hosts the yearly meeting, some of which have been co-hosted overseas with FIA- Federation de L’Automobile. 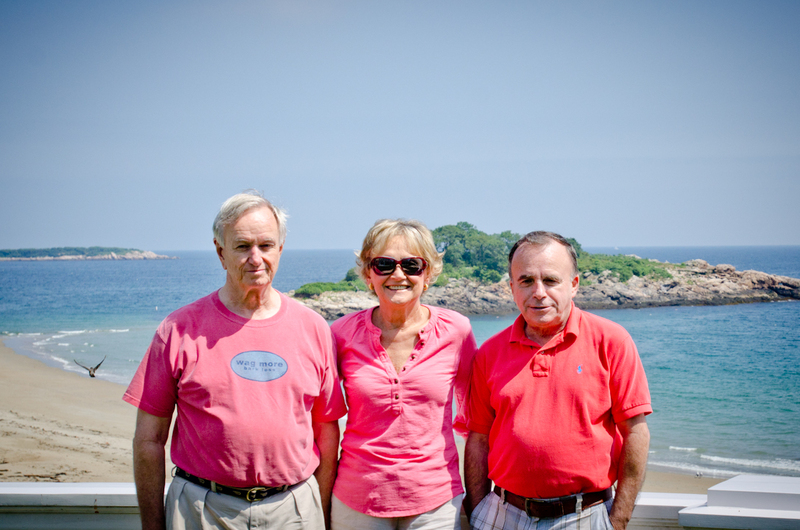 ICMS was founded in 1988 by JACQUES BOUCHARD, M.D. 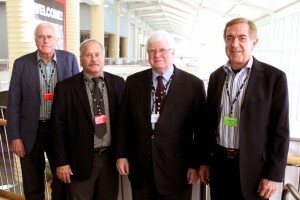 ; JACQUES DALLAIRE, Ph.D and his business partner, the late DAN MARISI; JOHN GORSLINE; SAM ODLE; STEVE OLVEY, M.D. ; and TERRY TRAMMELL, M.D. It started out as World Council of Motorsport Sciences. In 1990, FIA requested a name change to International Council of Motorsport Sciences. ICMS, a non-profit, aims “To promote, conduct and correlate research associated with the human aspect of motor racing and to disseminate information and technology related to performance and safety in motor sport.” Members include many medical, safety and emergency people involved with professional racing series and circuits, scientists and educators, as well as other interested people. The opening session of the 2012 Congress discussed helmet safety, with presenters JAMES NEWMAN, Ph.D, author of “Modern Sports Helmets;” ED BECKER, Executive Director/Chief Engineer of the Snell Memorial Foundation; and AMY McINTOSH, M.D. Mayo Clinic and board member of National Motocross Medics Association. The Snell Foundation is the organization which tests and certifies helmets for auto racing for adults and children, motorcycling, bicycling, equestrians, etc. When Becker joined Snell in 1985, the policy was and continues to this day, for Snell to have a five-year revision policy. 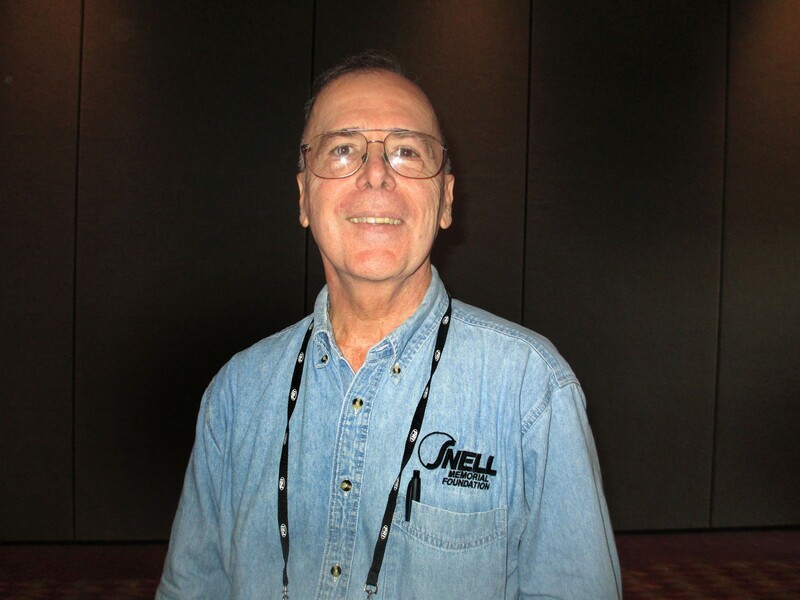 The latest Snell certification is 2010, and the next will be in 2015. That revision will be a mild, upward gradient mainly because the impact requirements can’t be increased too much more without increasing the helmet weight. The current Snell certifications are SA2010 and SAH2010, the latter being the helmets which are certified with the HANS device. While the HANS device is required and used worldwide by the majority of all professional racing series, there still are those who don’t require it – such as hill climbers, vintage racers, and amateurs, although the largest amateur racing group in the United States, SCCA-Sports Car Club of America, now mandates HANS. The HANS device could be required in the next Snell certification due 1 October, 2015. That would mean the helmet would have to come with the holes already cut and the attachment points in place for the HANS device. This would be good for the driver, but could cause unhappiness from manufacturers. Snell certifications are world-wide. FIA requires FIA 8858, which is based on the Snell 2010 rating. The FIA F1 Super Standard Helmet is FIA 8860 and is part of Tech List 25. Adult auto racing helmets are heavier than those designed for children. Children’s helmets are lighter and sleeker and are built differently, and as such, aren’t designed to be as impact-worthy as an adult helmet. Children’s necks are shorter and they have a different head to body size ratio. Children’s necks fatigue easier, as their neck muscles aren’t fully developed. Some adults try to wear the children’s helmets due to the lighter weight. 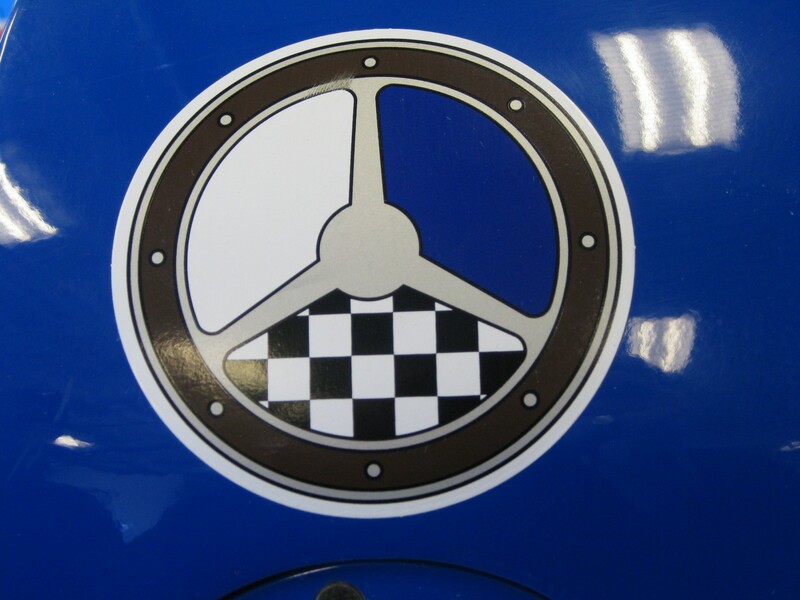 The Snell standards for children’s helmets were developed as a joint venture with the FIA. More children overseas wear helmets than in the United States. In America helmets with HANS are worn in karting and quarter midget racing, but not moto-cross as there is capacity for vehicle attachment. Children and motorcycle riders can and do use rigid neck braces. Motorcycle versions of head and neck restraints have been designed, but aren’t yet in wide-spread usage. 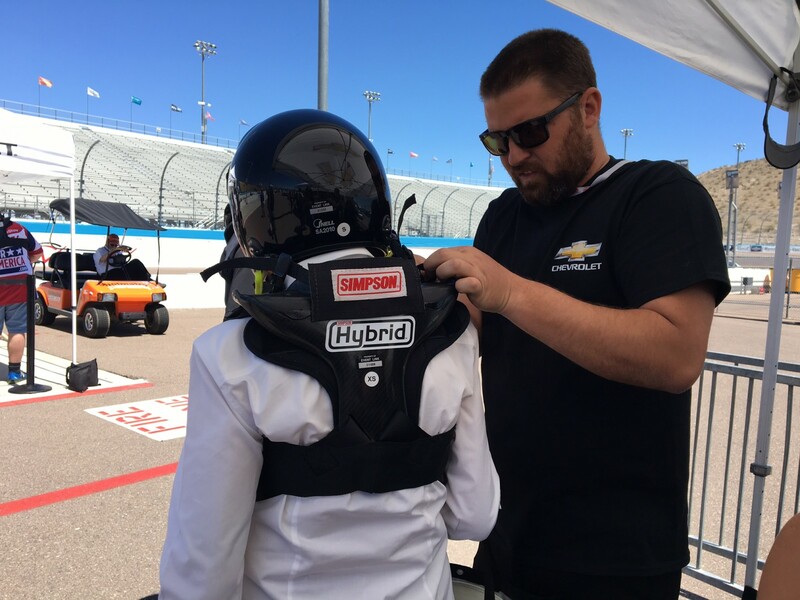 The key to maximizing the benefits of children’s helmets, with or without a HANS device, is the actual fitting. Proper professional helmet fitting, which can take 90 minutes, decreases the child’s risk in developing concussive symptoms. Having a helmet designed for a specific use is important. 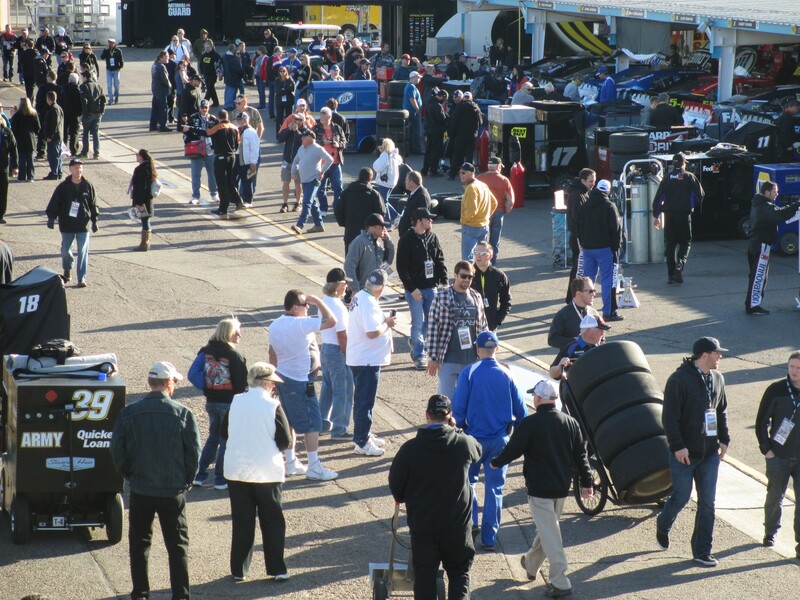 It’s sunny and working on warm at Phoenix International Raceway for the last and feature event of the three-day NASCAR weekend. Sunday is the second-to-last NASCAR Sprint Cup Race To The Chase – the 25th Annual AdvoCare 500. KYLE BUSCH/No.18 Toyota has the pole position, while the top two Chase contenders start further back. Points leader, JIMMIE JOHNSON/No.48 Chevrolet, will start twenty-fourth, and contender BRAD KESELOWSKI/No.2 Dodge is further up the grid, in fourteenth place. There will be no secrets from these two competitors. In the garage, they are parked side by side, based on their points standing. However, TONY STEWART/No.14 Chevrolet has the Number One garage, based on his 2011 Cup Championship. 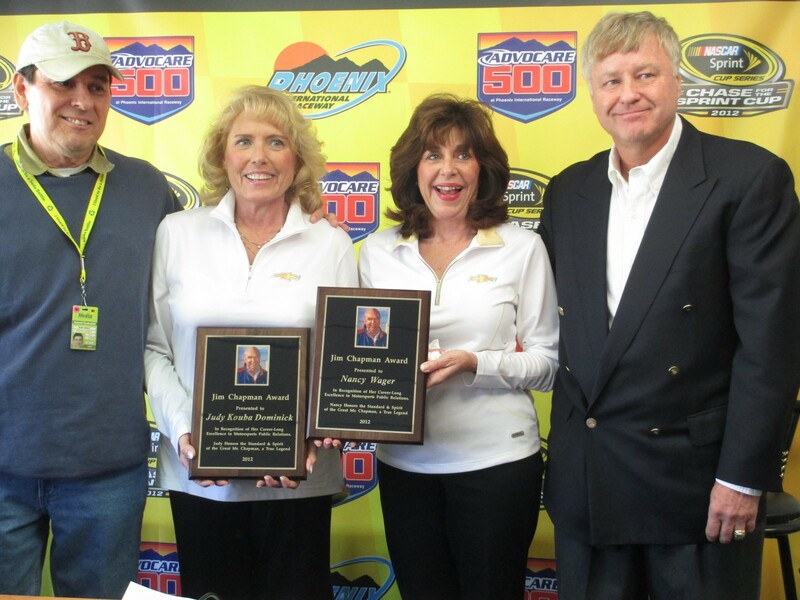 Sunday morning the prestigious Jim Chapman Award for Excellence in Motorsports Public Relations was presented by MICHAEL KNIGHT to JUDY KOUBA-DOMINICK and NANCY WAGER of Team Chevy. “Judy and Nancy are truly deserving of this honor because their professionalism is in the example and spirit of the late Jim Chapman. Like Jim, Judy and Nancy believe in the ‘old-school’ approach to working with the media – that is essential to build one-on-one relationships with journalists.” Well done, Miss Judy and Miss Nancy. 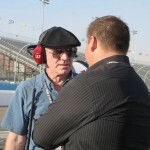 DR PAUL KOZAK of Phoenix has been the Medical Director at Phoenix International Raceway for the past 19 years. His Day Job is in Emergency Medicine at the Mayo Clinic in Scottsdale. He is also President of the Arizona College of Emergency Physicians, and spends time promoting its goals through political channels. 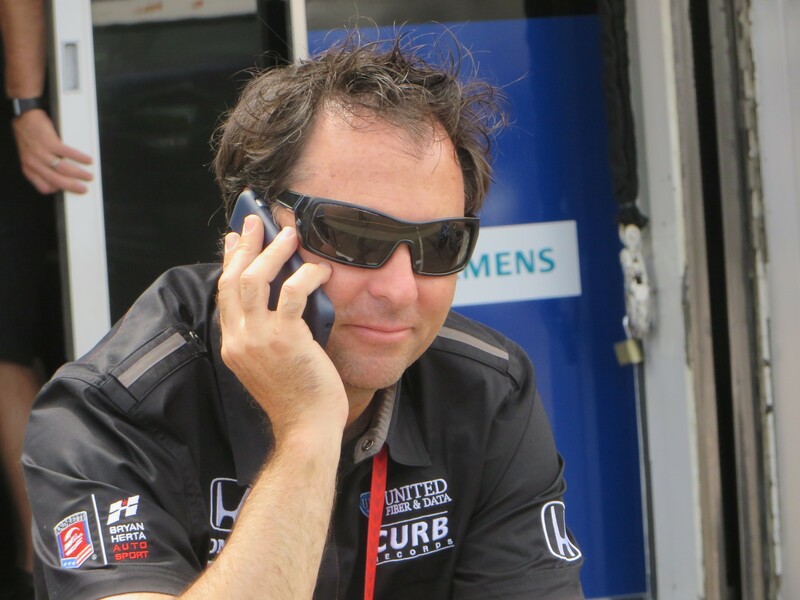 Kozak just finished a chapter on “Motorsports Medicine” for a new book – “Medicine in Challenging Environments” which is being compiled by DR. JAN STEPANEK, an Internest and aero-nautical specialist at the Mayo Clinic. The book will be available next year, in an e-book edition available through Amazon. On top of all that, Sunday morning at the daily track services meeting, Dr. Kozack was presented the Service Master Clean Extra Mile Award “In Recognition of Outstanding Service and Dedication.” The award was from the Service Master Clean, the Official Cleaning & Restoration Partner of PIR. 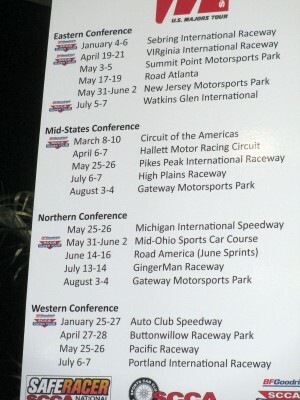 Evidently the awards were started in 2010, and 30 have been presented at race tracks around the country. Well done, Dr. Paul. The garage area is all a bustle with everyone making ready for the noon start of the race. My focus at the 24th Annual Performance Racing Industry trade show was to take in as much as I could from the available seminars and sessions on the various aspects of motorsports safety. It was a full program for me this year. Lots to absorb. 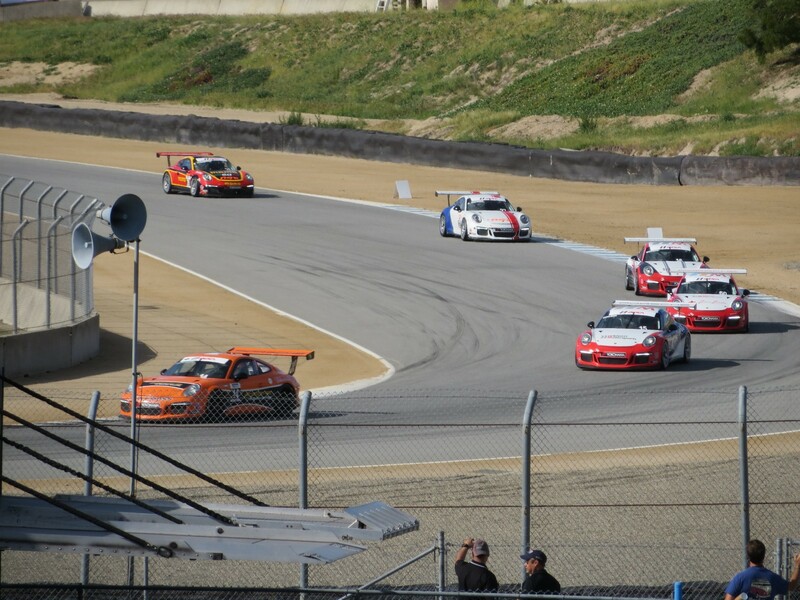 GILL CAMPBELL, CEO/GM of Mazda Raceway Laguna Seca said her road racing circuit wasn’t a SAFER barrier kind of track. But that didn’t mean the county-owned race track didn’t consider safety. The track “is constantly looking for ways to promote more safety. Among the improvements made so far are literally moving a mountain ‘in an environmentally-conscious community – but it had to be done.” So, huge earth movers beavered away in Turn One, making more runoff areas mandated by FIM for the Moto GP events. Applying the law of Unintended Consequences at Laguna Seca, those safe motorcycle gravel traps were an anathema to road racers, who got caught and trapped in them. So another $2.2 million was spent for asphalt ribbons in Turns Two and Six. These are strips of asphalt behind the kerbing. So when a car gets off track in the gravel, it still has traction to get back on track rather than being abandoned. Motorcycle kerbs are more gentle than car kerbs, which aren’t called Dragon’s Teeth for nothing. After each MotoGP weekend, FIM dissects each and every accident, even if it was a one-rider slip and fall with no injury. 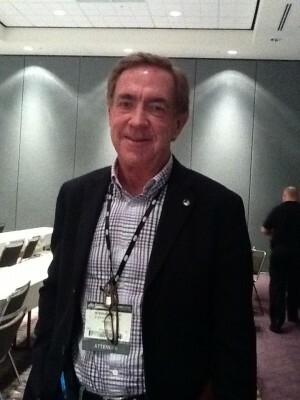 DR. HUGH SCULLY, International Council of Motorsports Science Chairman, Canadian F1 Medical Delegate, and presenter at the Annual ICMS Congress, talked about the strides being made in motorsports safety. 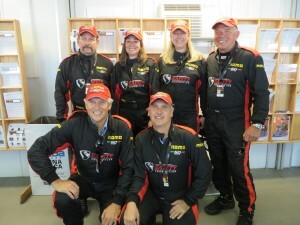 ICMS implements motorsports safety initiatives. The group brought the best minds together at the Congress to come up with better ways to do things. It looks at drivers, cars, circuits, barriers, all types of systems such as rescue and fire, and significant advances in early work on spinal and head injuries – which is a topical concern these days with baseball and football injuries. This year ICMS was looking at some pretty unfortunate accidents. The world was shocked and devastated at the horrific accident at the Las Vegas Motor Speedway season finale race for IndyCar, which involved 15 cars, five of which went airborne. This was the worst nightmare for any race medical team. It’s a very big concern to find ways to stop the open wheel cars from going airborne. 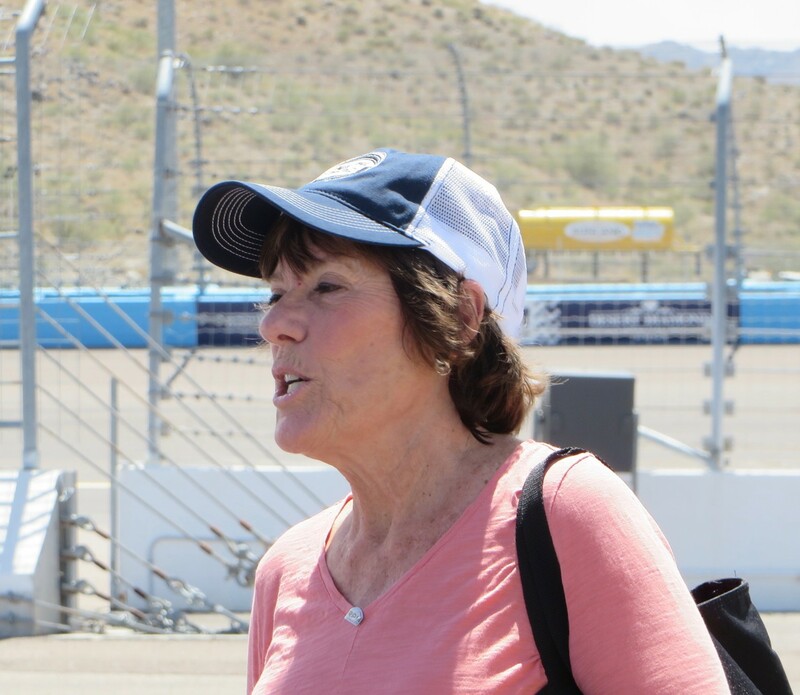 The SAFER barriers at LVMS minimized the impacts, and the progressively collapsible nature of the cars helped. The debris fences did their job, keeping the spectators safe. There has been progress. When the awful Le Mans accident occurred in 1955, there was no mechanism to keep the cars from going airborne. In those days, one in seven drivers were injured. Now, even with higher speeds and greater impacts, only one driver in 364 is injured. Still not a good statistic, but progress. 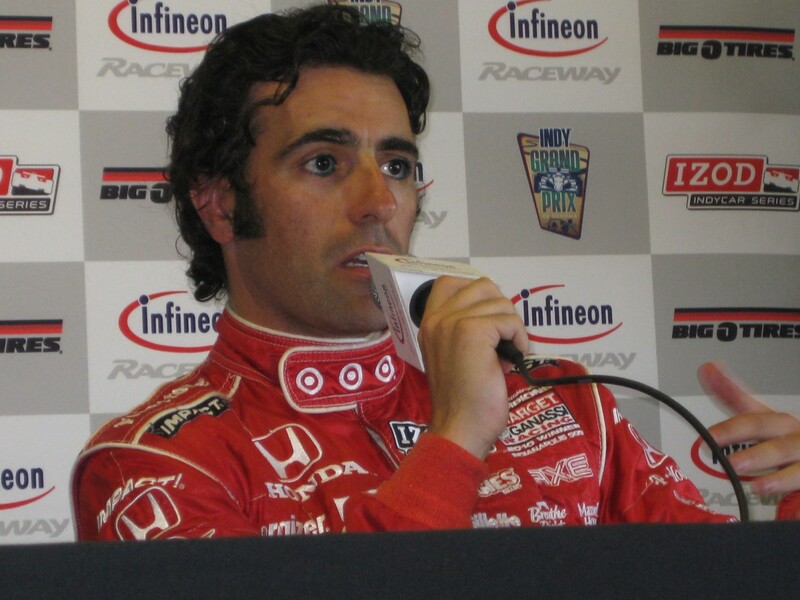 Dr. Scully was the Race Doctor at the Toronto CART race when American driver, JEFF KROSNOFF of CA, was killed instantly after his car went airborne and hit the debris fence. A wheel killed a Flag Marshal, who didn’t see it coming. But the fence did its job – there were 22 spectators right on the other side, who were protected. Dr. Scully said what should be discussed, in addition to driver safety, is more emphasis placed on improving safety for the volunteer race marshals. The FIA Institute of Motor Sports Safety and Sustainability, of which he is a member, has made great use of the $700 million FIA Motorsports Development Fund (courtesy of McLaren from Spygate) for promoting regional motorsports training networks and Regional Training Providers through The Safety Training Working Group. The FIA Institute is also involved with the RRDC (Road Racing Driver’s Club) new ‘Safe Is Fast’ online racing program. SAFE stands for Skilled – Assured – Fit – Empowered. 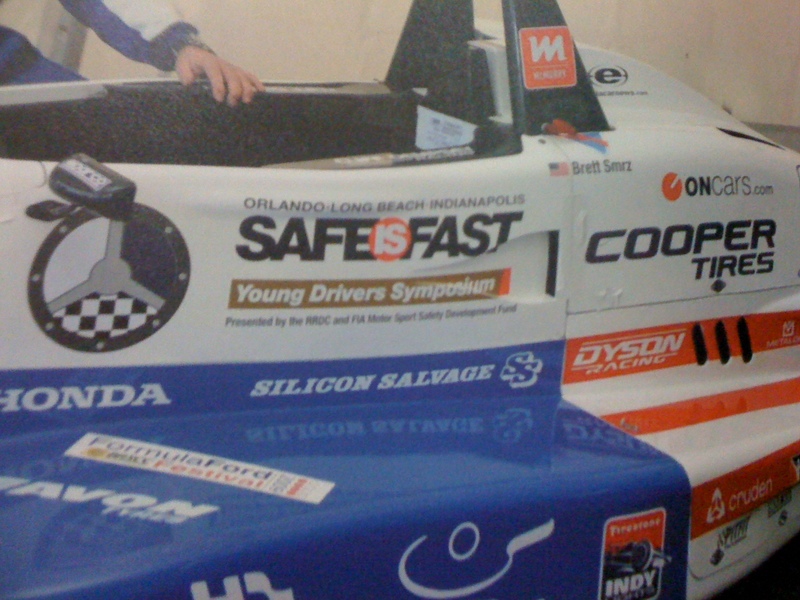 “Safe Is Fast” is a three-year old initiative of RRDC which held three seminars for young drivers and parents, and has since expanded into a comprehensive website, with short vignettes from many professionals and drivers, categorized into seven topics. Among those who have participated in the features are DR. TERRY TRAMMELL and DR STEVE OLVEY, who were founding members of ICMS and the FIA Institute, and the CART Medical team. They spoke about the HANS device and head and neck injuries. Olvey is associate professor of neurological surgery, specialist in brain injuries and author of “My Inside Story As a Motor Racing Life-Saver” and another book. Trammell is an orthopedic surgeon focusing on spinal biomechanics, injury and occupant kinematics (Kinematics describes the motion of bodies (objects) and systems (groups of objects) without consideration of the forces that cause the motion,) and motorsports medicine. He is a consultant, and a very active proponent of motorsports safety. 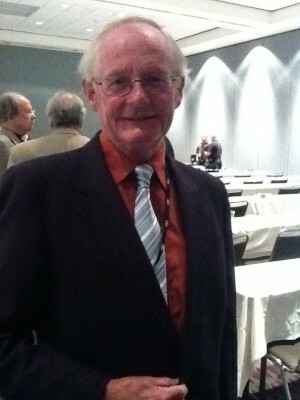 The FIA Institute has a Medical Commission, chaired by DR. SID WATKINS. InstituteFellows include Scully along with DR. PAUL TRAFFORD of the UK – FIA; US motorsports doctors and founders of ICMS, Drs Olvey and Trammell; American DR. GARY HARSTEIN-Formula One Medical Rescue Coordinator Medical Delegate; and DR. MICHAEL HENDERSON of Australia-retired RAF surgeon, motorsports consultant and author of a book on Motor Sports Safety. In January 2011, the Medical Commission launched “Medicine in Motor Sport” available in print and digital formats. It was designed for use at all kinds of motorsports events, and was edited by Professor Harstein. The goal of this effort by Medical Training Working Group is to make medical protocol universal and consistent around the world. After NIKI LAUDA’s fiery Formula One accident in 1976 at the German Grand Prix, former F1 driver, JACKIE STEWART, made it his own personal crusade to promote motorsports safety an made a career of it. He worked with the medical and manufacturer side of the issue. An aside here on Lauda: there are rumors that RON HOWARD and Cross Creek Pictures will be making a movie about Lauda called “Rush”, with PETER MORGAN as screen writer for the production. Currently, there are protocols for returning to competition. And the various medical and safety groups are making inroads, becoming leaders in safety and working with the race series to incorporate safety improvements. Nowadays, the up and coming young drivers are more of the mind set where safety is emphasized, with all the equipment and precautions and efforts by circuits and manufacturers. It’s the older drivers who are the tough sell. 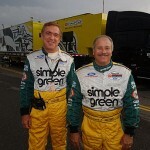 Wednesday was a milestone for racer JIM DOWNING, who invented the HANS device with his brother-in-law, DR. ROBERT HUBBARD, professor emeritus of biomechanical engineering at Michigan State University. It was 25 years to the day Downing first wore the HANS device in an IMSA race. 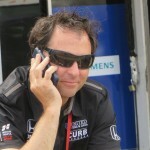 Hubbard invented the HANS device which has been in use since the early nineties. It or other FIA approved head and neck restraint systems are now mandated by all major professional racing series, and in 2012 will be required for the thousands of SCCA (Sports Car Club of America) club racers. To help implement the process, HANS has come up with models which are more attractive to the low-budget racers. A paid staff member from Circuit of the Americas at PRI told me that Bernie, as in BERNIE ECCLESTONE, F1 Cashier, had given an extension for the $25 million F1 sanction fee – either five or seven days. Ecclestone’s words were more than just ‘Show Me The Money.’ He wanted the check and the pen to write it. This staff member said the track employees basically had been told nothing, and were getting their information from the Internet. Later, it was reported on the Internet that Ecclestone had granted the organizers a week extension, putting the deadline right down to the wire with the upcoming FIA World Motorsports Council meeting to finalize the 2012 F1 calendar. 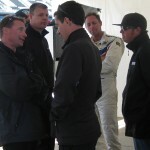 Miller had also said in his SPEEDTV.com article that among those names mentioned as replacement for Barnhart in Race Control was SCOTT PRUETT, current and past Grand-Am Rolex Series Daytona Prototype Champion. 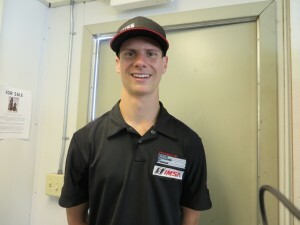 I asked where that name came from, and Miller said from Pruett’s Grand-Am team owner, CHIP GANASSI, who thought Pruett would be good in the job. The 24th Annual Performance Racing Industry trade show is in Orlando FL this week, at the huge Orange County Convention Center. The week was kick started Tuesday with the Professional Motorsport Circuit Owners & Operators Convention, followed by Wednesday’s Annual Congress of International Sciences put on by ICMS – International Council of motorsport Sciences, and the 15th Annual Industry Round Table. Thursday morning DAVE DESPAIN is featured at the Grand Opening Breakfast. Following all that will be three days of the PRI trade show. There are many other individual seminars and sessions, including an all-day Curriculum Safety Seminar hosted by Stand 21. And for fun, Thursday night outside the Convention Center will be the 5th Annual Red Bull Kart Fight @ PRI, Powered by Rotax – which will pit well known professional racers from a variety of series against young lions. The two niche gatherings were members only, but the Round Table was open to all, as will be the Safety Seminar. 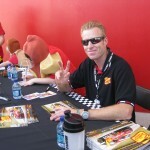 RAY WILKINS, General Manager of NHRA’s Atlanta Dragway, launched Irwindale Speedway and ran Saugus Speedway. The Road Racing Drivers Club has taken on the very large task of mentoring up and coming young drivers, with FIA’s help. Monday, RRDC went viral Monday when it launched its SAFE is Fast website, taking its driver development seminars to the next level. 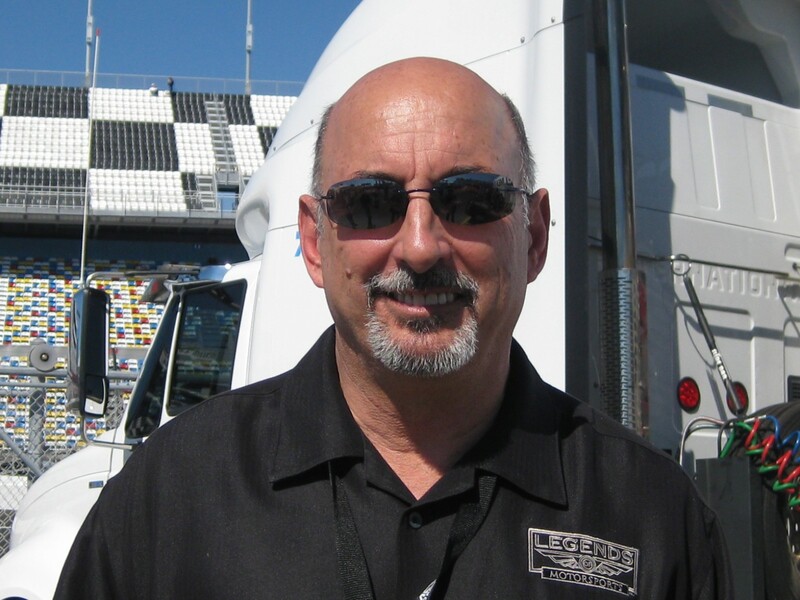 RRDC had already gathered an impressive panel to cover a broad spectrum of seminar topics which now have been videoed and expanded for the website, which is hosted by BOBBY RAHAL, RRDC President, Rahal Letterman Racing team owner, and father of IndyCar driver, GRAHAM RAHAL. SAFE stands for Skilled, Assured, Fitness and Empowered. It was the focus of the RRDC FIA Young Drivers Symposiums free to young (teenage) drivers, to help them get on the right track for a successful racing career. Three such workshops were held, in Indianapolis, at the 2010 Toyota Grand Prix of Long Beach, and last December at the Performance Racing Industry Trade Show. 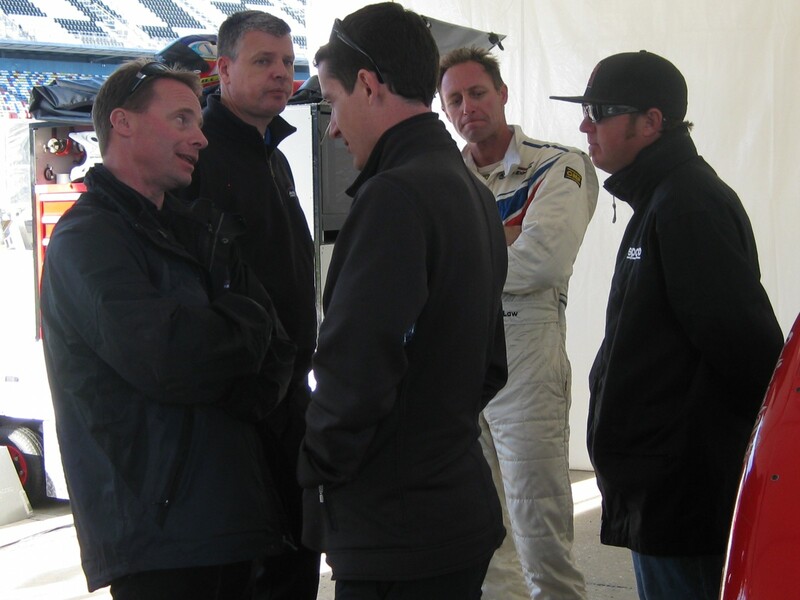 The idea was to talk safety in a way the drivers wanted to hear. The wildly popular seminars reached a finite number of young drivers who were able to attend. RRDC is now taking a more global approach, in an effort to reach more drivers where they live, and also provide for a permanent record of its expertise. The goal is to have the young amateur drivers visit the website, find sections of interest, take quizzes, check out the parts they like, and customize it to suit their needs, etc. Some very creative, committed and capable veterans in motorsports, spearheaded by Rahal and long-time RRDC member, JIM MULLEN, put together a plan to train young drivers, which has been more than two years in the making. With the goal of teaching that SAFE is Fast, RRDC sought and received a grant from the FIA Motor Sport Safety Development Fund, which is tasked, among other things, to promote programs for young drivers safety. FIA underwrites grants, courtesy of its $60 million share of the $100 million fine assessed to McLaren-Mercedes by the FIA World Motorsports Council in the fall of 2007. The fund was created to manage the distribution of motor sport safety-related programs worldwide…Spygate money being put to good use. 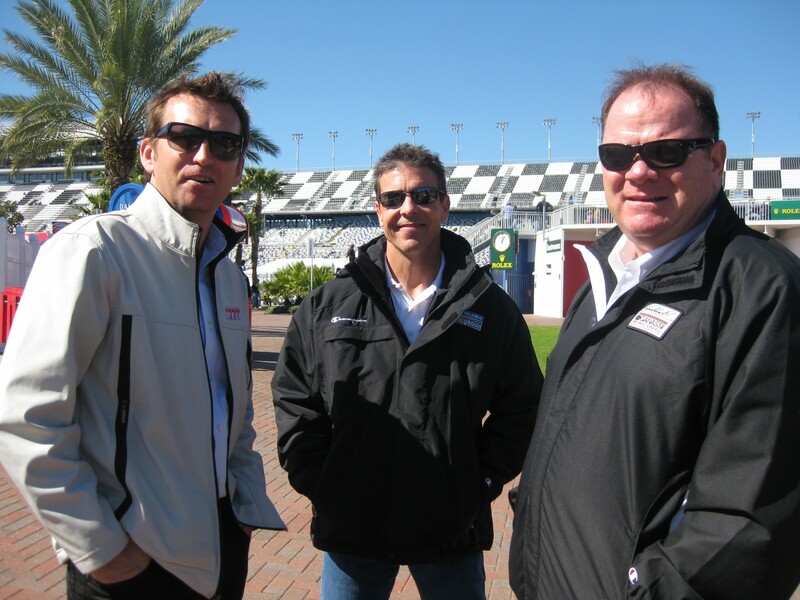 RRDC is a U.S.-based organization comprised of America’s and Europe’s most successful racing drivers, as well as leading professionals in the motorsports industry, race officials, and motorsports journalists who have made significant contributions to the sport. 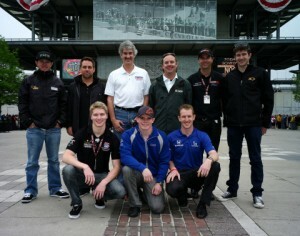 Among its many members are champions from Formula One, Indianapolis 500, and top American amateur road racers. The video segments currently number fifteen, and include topics hosted by people who are household names in motorsports including 30 RRDC members. 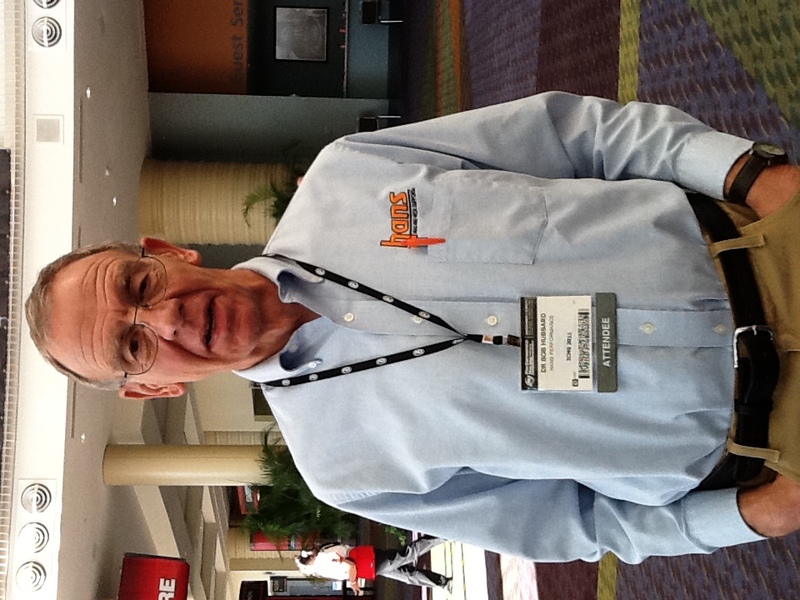 RRDC Secretary – five-time SCCA National champion, TOM DAVEY, handled the production of the website, with JEREMY SHAW and TAMY VALKOSKY as Coordinating Producers. 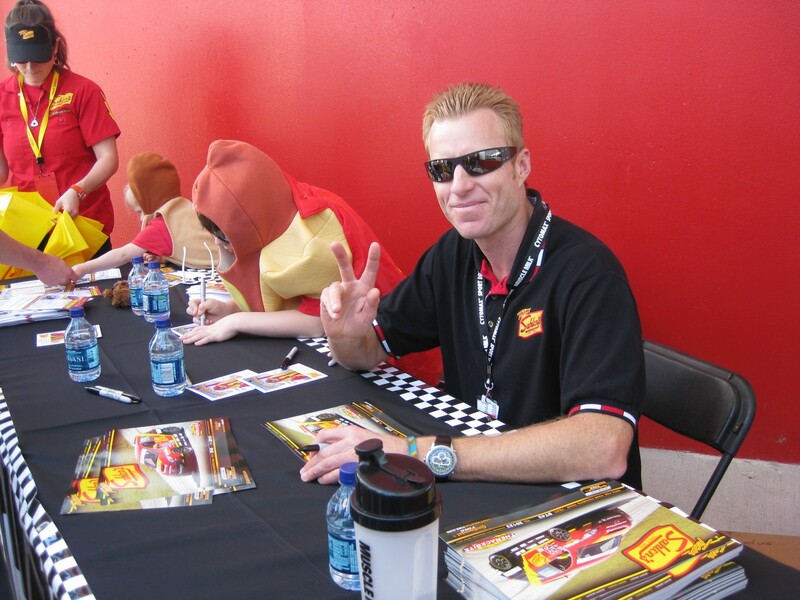 A writer and filmmaker, Davey comes from a motorsports production background and has been involved with more than 200 TV productions, including ESPN’s “Secrets of Speed” series. 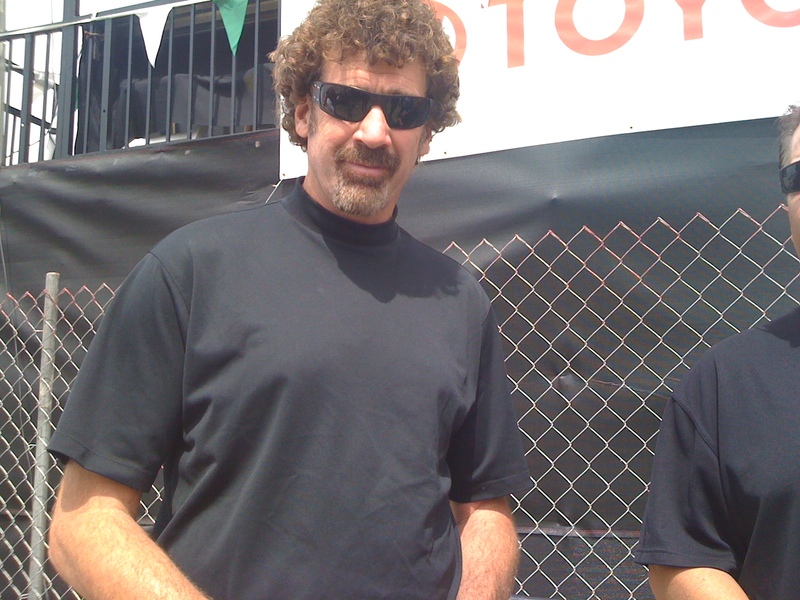 The website interview process began last December at the PRI Motorsports Trade Show, and at the 2011 Rolex 24 Hours of Daytona, Long Beach, Lime Rock and Rahal’s race shop in Ohio. There will be frequent and continuous updating the website. Currently there are ninety minutes of video on the site, edited down from twelve hours of footage, with another hour coming soon. Everything was shot in HD. All editing was done on a laptop using Adobe Premier CS5. 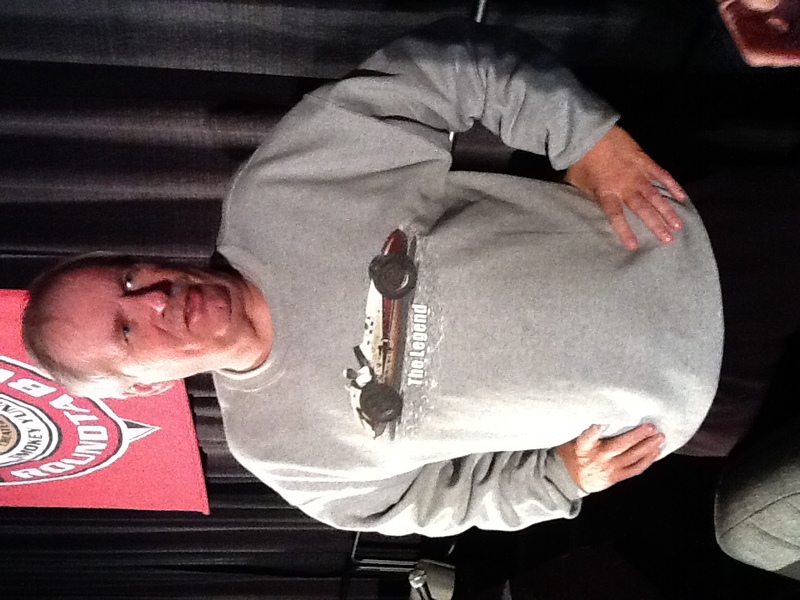 Not only are there individual presentations (tutorials) incorporating safety with graphics and video support, there also are many sound-bite interviews with forty drivers, owners, engineers of all kinds, industry leaders and motorsports figures, covering many aspects of racing, including setups, passing, transition to ovals, working with engines, etc. The website is not a linear thing. It is an ambitious, multi-year project. 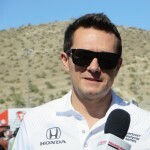 Dr. Dallaire said “Hopefully it (the website) will be something that will help young drivers look at the sport a little differently and focus on things that they don’t often consider when they are just starting out. Mullen wrote the original FIA proposal, which had to follow the chain of command to ACCUS – The Automobile Competition Committee of the United States. ACCUS is the National Sporting Authority (ASN) of the Federation Internationale de l’Automobile (FIA) for the United States. ACCUS is comprised of the seven major motorsports sanctioning organizations: Grand Am, IMSA, IndyCar, NASCAR, NHRA, SCCA and USAC, each nominating two directors to its Board. Additionally, a number of independent directors are elected annually. The World Karting Association (WKA) is an associate member. Mullen drew on his advertising background to write the RRDC proposal which had to include the 14-page application. Mullen also created a photo presentation which accompanied the text version, and all was given to Dr. QUENTIN CROMBIE, Director of Programmes of the FIA Institute. 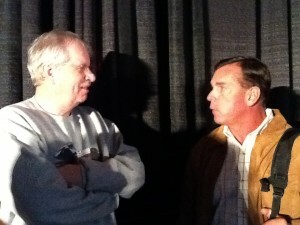 Mullen insists he is an agent behind the scenes working for RRDC, the real force behind the project. The FIA review committee was chaired by seven-time F1 champion, MICHAEL SCHUMACHER, of Germany. On the panel were FIA President JEAN TODT of France; former FIA President, MAX MOSLEY of England; NICK CRAW of Colorado, USA; FIA Senate President and RRDC member; and Mercedes-Benz Motorsport Vice President NORBERT HAUG of Germany. 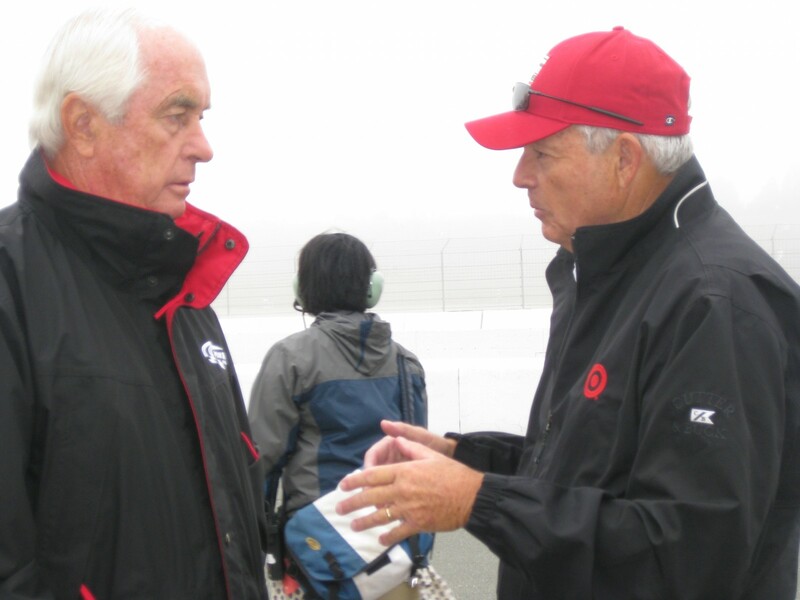 ROGER PENSKE and Penske Racing President, TIM CINDRIC; CHIP GANASSI and Ganassi General Manager MIKE HULL, and BRIAN HERTA – successful multi-series team owners and staff, discuss What Teams Look For. 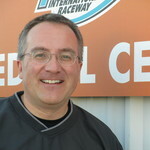 JIM JORDAN, Mazda Alternative Marketing Manager, sponsorship, branding, social media and other non-traditional marketing programs. Topics still to be covered include Basic Driver Workout, Basic Car Setup, Friction Circle, Understeer and Oversteer, Data Acquisition, Aerodynamics 101, Tire Management, Rain Driving, Pit Stops, Oval Racing, Evolution of Safety, Kids Helmets, Getting In The Zone, Marketing Yourself and Working with the Media. The website also has Links, Further Study/Recommended Reading and Credits. RRDC annually presents several prestigious awards dating back many years – The Mark Donohue Award, for outstanding performance at the SCCA Runoffs; The Phil Hill Award for outstanding service to road racing, which is presented during Rolex 24 at Daytona pre-race ceremonies, with Craw as one of the winners (2010); and The Bob Akin Memorial Award for road racing sportsmanship and tradition. 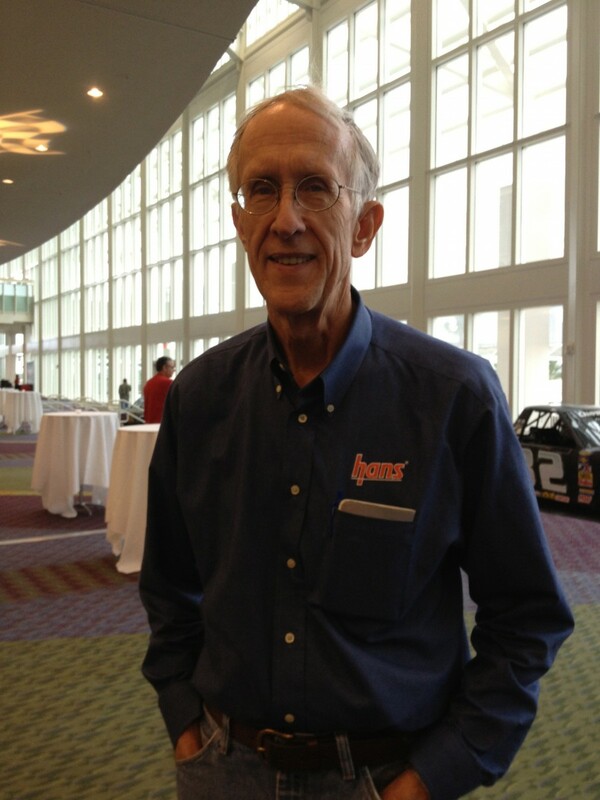 The 2010 International Council of Motorsports Sciences Annual Congress was held in association with the annual trade show in Orlando put on by Performance Racing Industry for the industry of motorsports – which is not an auto show. 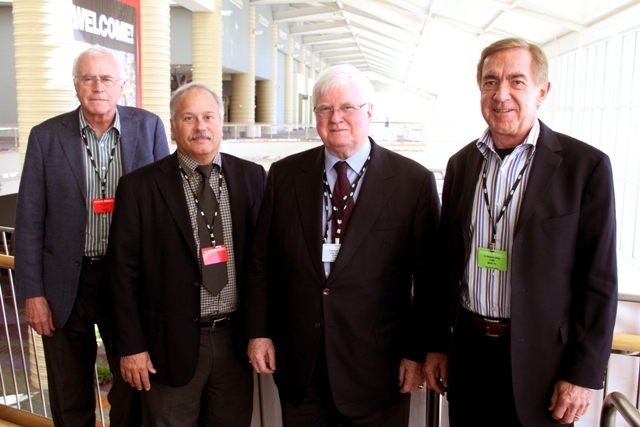 Left to right: Peter Wright, FIA Institute, Dr. Terry Trammel, Dr. Hugh Scully, chairman of the ICMS, and Dr. Stephen Olvey. Photo by Steve Essig. This year’s ICMS Congress drew a large attendance of very diversified, learned, prominent movers & shakers, inventors and forefathers/mothers of Motor Sports Safety. They came from four continents – North and South America, Europe and Asia. Among the countries represented were: Belgium, Brazil, Canada, Japan, Mexico, Sweden, the United Kingdom and other European countries. Despite the Congress being publicized by PRI, it was not open to any but ICMS members, as some of the presented material was proprietary, and part of the value for the members was being able to discuss among themselves and have it remain confidential. What happens in ICMS stays in ICMS. 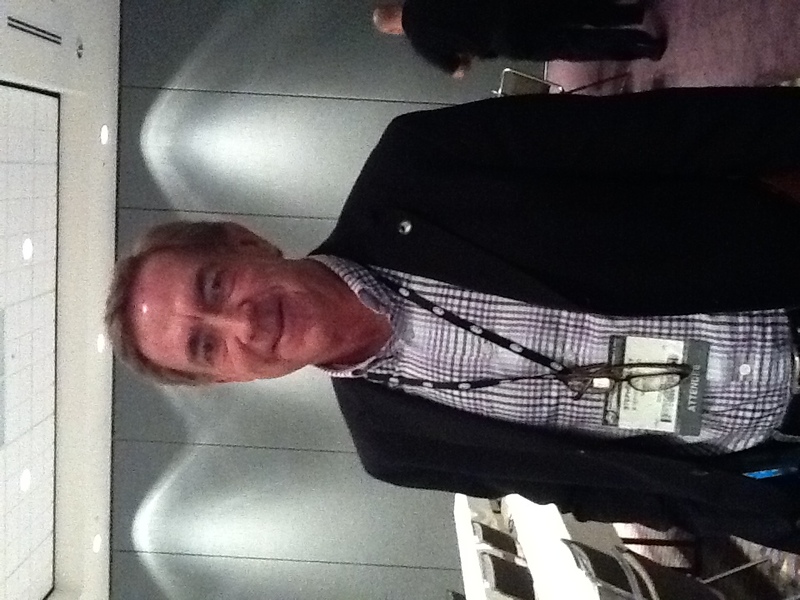 Dr. Scully, who has been the Medical Director for F1, CART and IRL in Canada, also participated in the PRI Annual Round Table Wednesday afternoon, before going back to the Congress for closing remarks. 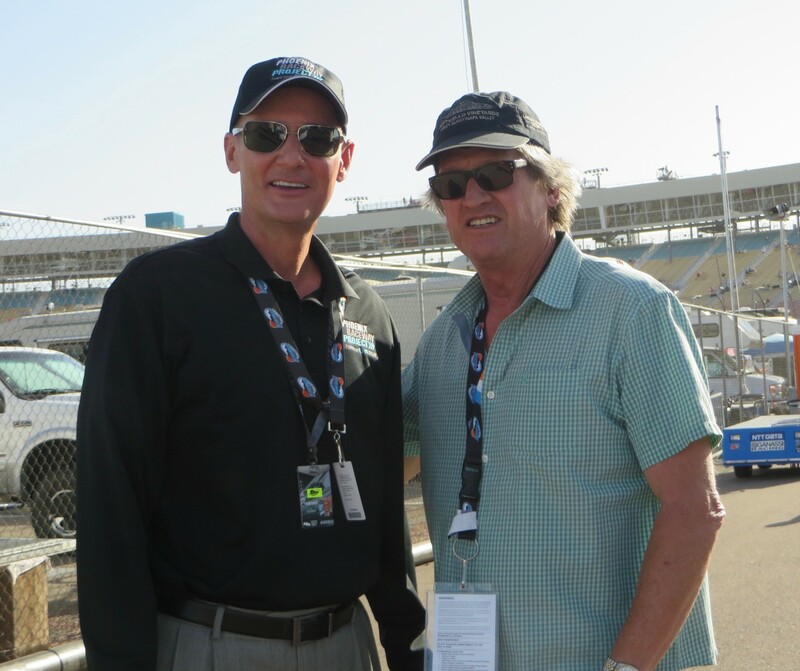 DR TERRY TRAMMELL, noted orthopedic surgeon and consultant, long-time member of CART Medical Services and consultant to Indianapolis Motor Speedway for 14 years is one of the founders of ICMS. He was a member of the 2010 ICMS Curriculum Committee. 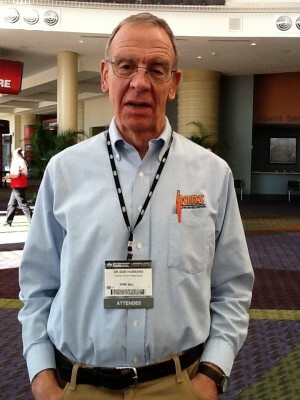 Trammell said “The Congress has really gone very well. well, with no glitches. We had some of the best papers we’ve had over the years. The breadth and depth was best ever. 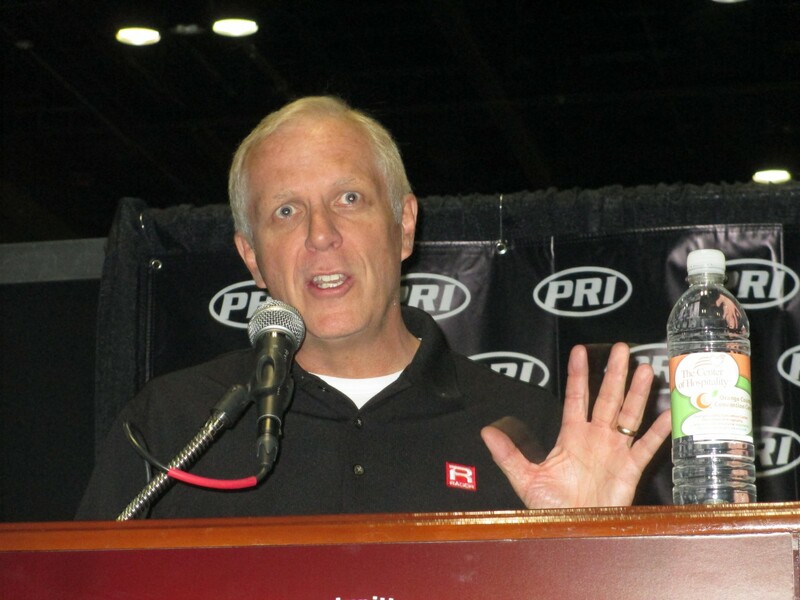 “It has been very helpful to be working with PRI in conjunction of its well-known show, using its facility with all that brings, and getting its promotion of our event at their event. “Having our annual winter Congress in Orlando fits in with our plan of going to warm places.” That was intended as a joke as Florida was experiencing near-freezing weather this week. “It wasn’t as warm this year as we had hoped. 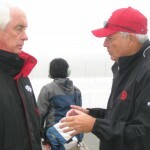 DR JAQUES DALLAIRE is a founding member of ICMS, founder of Human Performance Institute and now primary consultant and chief scientist for Dallaire Consulting LLC – an organization designed to enhance performance enhancement activities in motorsports and now in the corporate world as well. Dallaire’s topic was Mind Games: How they can affect performance. “There is a direct relationship between mental ability and physical fitness. It takes physical energy to maintain mental focus. “Among the things which factor in to detract a race driver from mental focus are dehydration, fatigue, weather, and degradation of the car such as worn tires, accident damage, etc. These conspire to cause the driver to make poor decisions at the end of the race – possibly the time when more decision-making mistakes are made. “This phenomena isn’t limited to just drivers, but also to the Emergency Response crews and the Teams-Pit Crews….it’s a universal truth. “Intensity of focus is inversely proportional to duration. How long can a high intensity focus be maintained without fatigue? In other words, the higher the needed focus, the shorter the duration we can sustain at that level without fatigue. 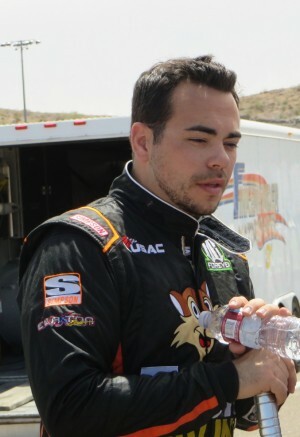 Often racers refer to a loss of focus as brain fade. “The control of focus is the key issue. Maintaining focus means controlling the direction of the focus, based on the activities of that moment when they are called on to perform. Focus on the right thing at the right time. “Environmental challenges cause us to shift/change our focus sometimes to the wrong things. 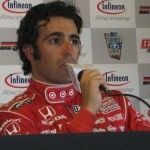 “Drivers have to be focused for the entire race – while in the car. Fully loaded at all times. 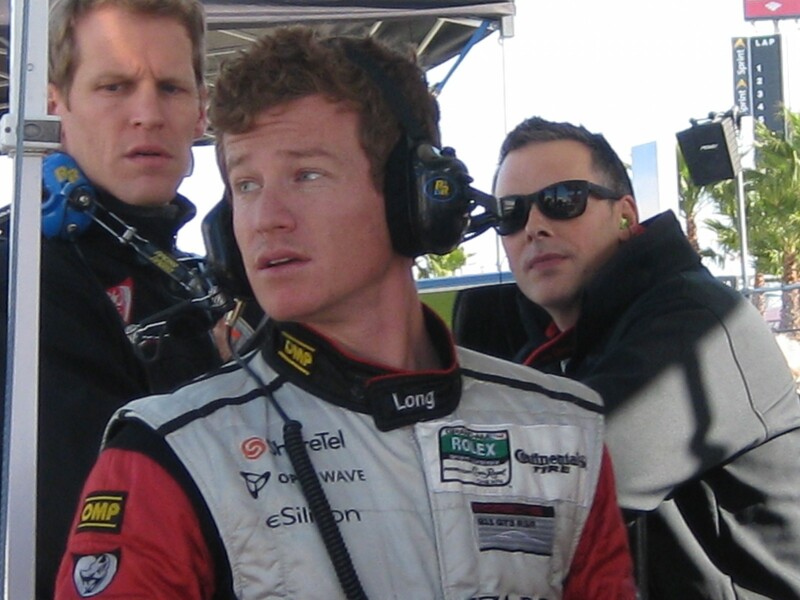 “Pit Crews have intermittent focus, just before, during, and just after a Pit Stop. In between Pit Stops, the Team can have relative rest stops. The mental load is more distributed. “Emergency Response Teams may or may not be called to respond to an emergency any time during the race, so they have to be fit, at the ready at all times but at a lower level of intensity … while being ready to Go when the situation arises i.e. being involved in a rescue. 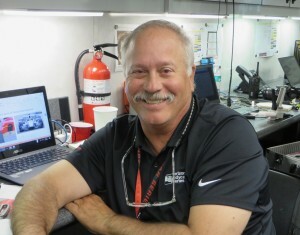 JERRY KAPROTH is NASCAR’s Safety Coordinator and Safety Analyst at the NASCAR Research & Development Center in Concord NC. Race incident investigation and assisting in accident reconstruction are among his responsibilities. He spoke on Pit Lane Safety, a subject continuously reviewed and developed. Klaproth identifies, reviews, and discusses racing incidents, which is an ongoing process. Track Safety Meetings are held before each NASCAR races, conducted by MIKE PHILLIPS, NASCAR Track Services. Among the developments in NASCAR (as well in other racing series) has been mandatory wearing of fire suits and helmets for the Race Officials and the Over The Wall Pit Crews. Pit Road speed is electronically monitored. No more than three stalls prior can be entered by a driver before reaching his/her own stall. Controlling the tires by the crew over the wall was a big focus this season, which meant among other things that the hook was no longer allowed. 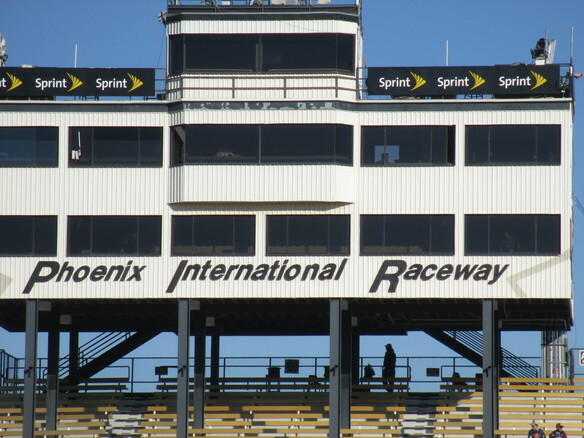 NASCAR adopted a rule this year to take effect next year – reducing by one the number of Over The Wall crew members per stall, going from six to five. Each crew member has a specific function with the correct equipment. The catchcan will no longer be acceptable. 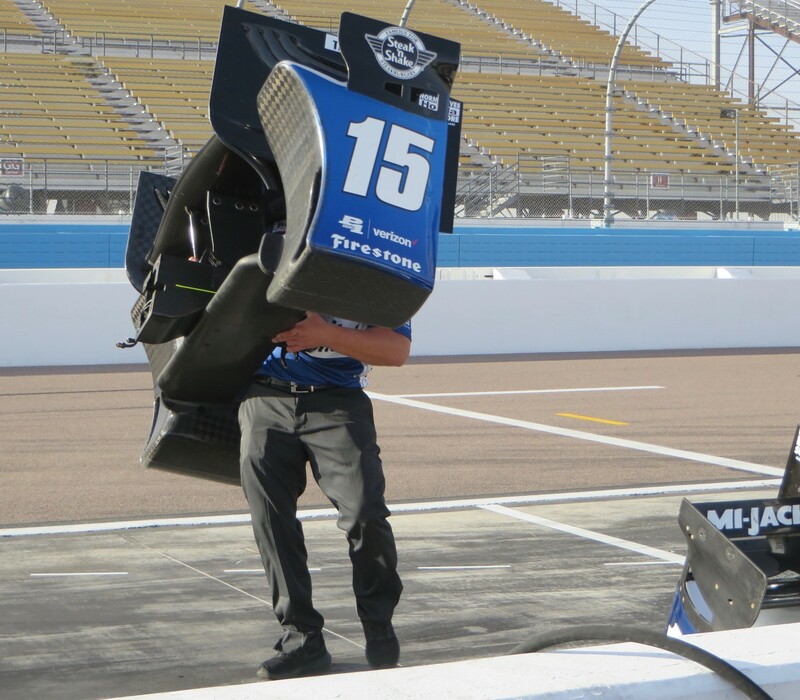 NASCAR will go to a self-vented closed fueling system. It is a new cell, to minimize leakage. NASCAR Race Control communications to Pit Lane have improved. There are 46 NASCAR Race Officials on Pit Road during a race. One firefighter with equipment is attached to each pit stall, and there are three others who roam. NASCAR as well as most road racing series world wide mandate wheel tethers. The American exception is NHRA. In NASCAR they are made of woven Vectron, built by Doug Emick and SFI approved. There are only two companies in the world which make wheel tethers – the other company is Future Fibers in Spain. NASCAR requires dual wheel tethers, which are very small in diameter but very strong – 36,000 pounds of force for duals, 18,000 pounds for singles. 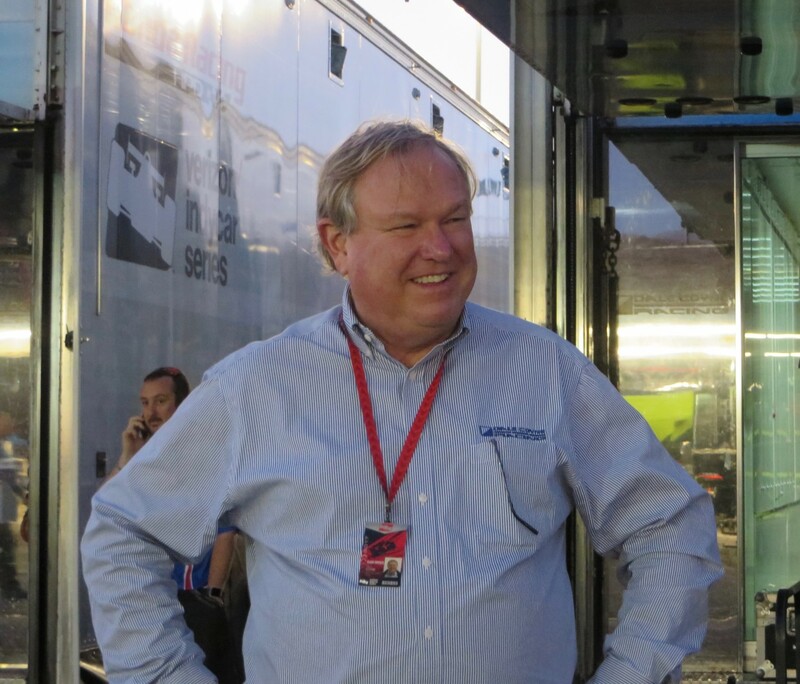 ARNIE KUHNS, President/CEO of SFI for the past 26 years, elaborated on the NASCAR tethers. NASCAR also mandates tethers on the roof hatch, rear spoiler, and did so for wings, before they were removed from the stock cars. Tethers are required in many racing series including F1 and IndyCar. They are not yet mandatory on the NHRA parachutes. 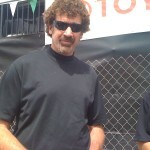 Kuhns is helping to take the NASCAR tether technology to NHRA parachutes. Tethers are, however, required in NHRA Funny Cars on the explosion panel for pressure release. SFI was established to issue and administer standards for specialty/performance automotive and racing equipment. Many sanctioning bodies require certain safety equipment and race-related items to have a certain SFI rating. SFI has more than 100 safety standards for over 100 sanctioning bodies. 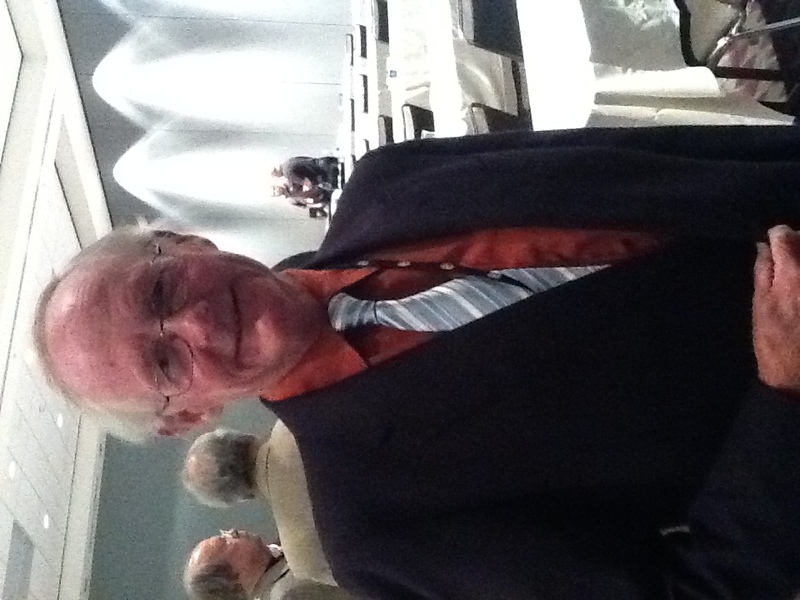 Kaproth later shared a presentation on Barrier and Debris Fence Research with HUBERT GRAMLING of the FIA Institute.